Our process is definitive, we execute all of our bespoke web builds this way and it means we can deliver the best, most satisfactory outcome for your new web project by following this process diligently. We run an incredibly tight ship at VIA, our branding processes continue to evolve to the extent that regardless of project size our first aim upon project acceptance is to really understand your business goals, the project goals and vitally how the two come together to ultimately deliver the final representation to your customer. 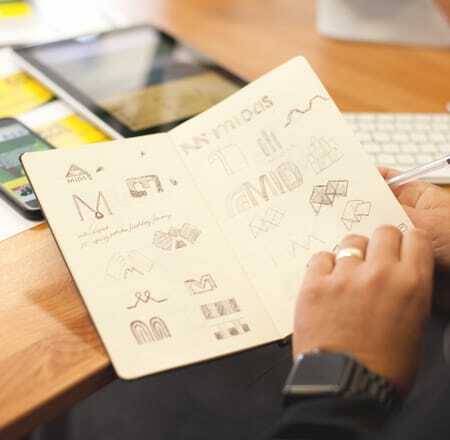 A project manager and designer will oversee the initial discovery process, they will meet with yourself and help define the branding process. This is usually in the form of a questionnaire or workshop to extract the key components of who you are, where you came from and aimed at filling the gap where your new brand needs to be. Our overall solution will be reflective of the direct feedback from yourself, our own market research about your company and also your competitors and your target audience/market. 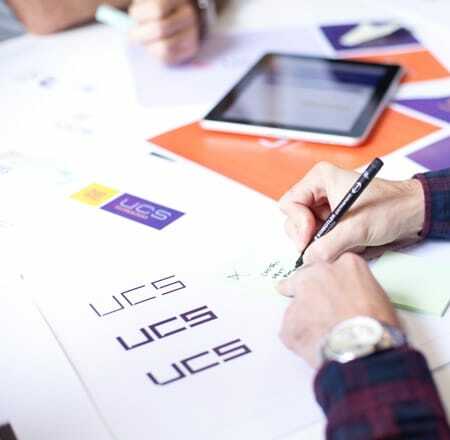 A constant feedback loop is crucial to the success of the project, we will require input throughout various stages of the brand development process - from confirming the results of the Brand questionnaire and/or a brand workshop through to scoping early ideas and presentation of our initial solutions. We then shape and mould any feedback, both positive and negative into a final solution that is ready for submission into your target markets. After review and approval of the chosen brand, we can help shape further applications of your brand including development of a launch and marketing strategy, creation of associated web and digital media and also printed marketing collateral to promote the use and vision of your new brand.